There are many exceptional places to go scuba diving in Thailand in both the Gulf of Thailand and in the Andaman Sea. The coast is over 2000 kilometres long and offers both the novice and technical diver every type of dive experience: wrecks, walls, dramatic drops and pinnacles that push up through the ocean surface. You can have a very directed experience of care in a luxury dive resort, or you can go for a more local experience by traveling to more remote fishing villages. Thailand is an exotic paradise with mountain treks, world famous cuisine and colorful markets. And not unimportant scuba diving in Thailand offers some of the best scuba diving in the world. Scuba Diving in Thailand varies according to your location. On the west coast, the Andaman Sea beckons with its quiet sandy beaches and jungle forests that reach right to the water. North of here divers are offered dives amongst the granite rocks around the Similan and Surin islands that are the ideal places for liveaboard dive trips. There is little scuba diving in Phuket itself however boats launch from Phuket to drop curious divers off-shore at special spots called Shark Point and Anemone Reef. There are pristine corals and enormous reefs teeming with endemic species of fish to be seen at Hin Muang which has depths of 70 meters or more. The best scuba diving in Thailand can be found are around Koh Tao and features tunnels and archways of coral through which you can spot giant barracudas and whale shark. 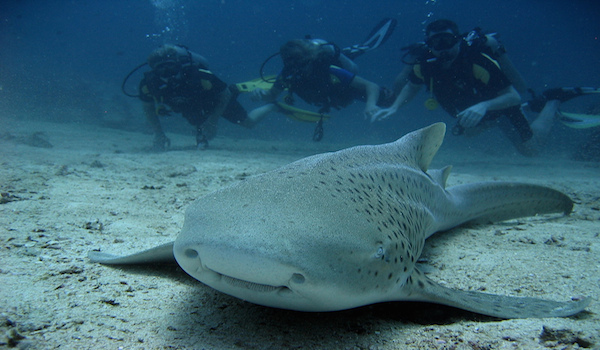 East of Bangkok diving is mainly done around the islands around the city of Pattaya. Even though, the water is warm it is always recommended that you wear a thicker wetsuit to protect you from jellyfish. Best time to Scuba dive in Thailand? Visitors can dive all year round in Thailand, however, depending on the location there are better times than others to dive. If you are planning to dive off the Andaman coast, the best time to do so is between October and May as the area is pounded by rainfall the rest of the year. The east side of the Gulf of Thailand is suitable for diving all year long however the rainy season that occurs between November and January can cause poor visibility in some areas. The ideal place to dive any time of year is just off the coast of Pattaya where the waters are crystal clear, and the sea temperature remains steady at 28 degrees. There are a number of wreck dives that can be seen here. Koh Tao is the perfect dive location for beginners, however even experienced divers may get a glimpse of a whale shark if you time your trip correctly. The Andaman Sea - This area extends from Myanmar down the west coast of Thailand and has over 155 Islands that have reefs on the east side of them and rocky slopes that descend directly into the sea. Phuket’s Shark Point and Anemone Reef – These two offshore sites offer deep waters with rare corals and an abundance of sharks. Krabi – In the southern part of the Andaman Sea there are limestone cliffs with gorgeous corals and thriving sea life. Koh Long – Off the shores of this southern part of the country is one of the deepest drop off diving sites in the world. Koh Tao This is an ideal spot for beginners as there is a wide selection of shallow dive sites. Experienced divers can visit sites like Sail Rock and Chumphon Pinnacle where there are frequent sightings of Whale and Bull sharks. Over fifty international airlines serve the country, and many of them serve Bangkok and Phuket. If you are in Malaysia or Laos and you are in for an adventure, you can drive directly into Thailand over the landmark Thai-Laos Friendship Bridge. If you are coming from Singapore, you can take the Eastern & Oriental Express, which gives you a view of the mountains – this is the sister service of the famous Orient Express. If you want to dive in the Gulf of Thailand, you can travel by plane from Bangkok or Phuket to Koh Samui. Want to dive in Thailand?